Easily debug a running PHP application. Is there a better alternative to MacGDBp? Is MacGDBp really the best app in Editors category? Will MacGDBp work good on macOS 10.13.4? 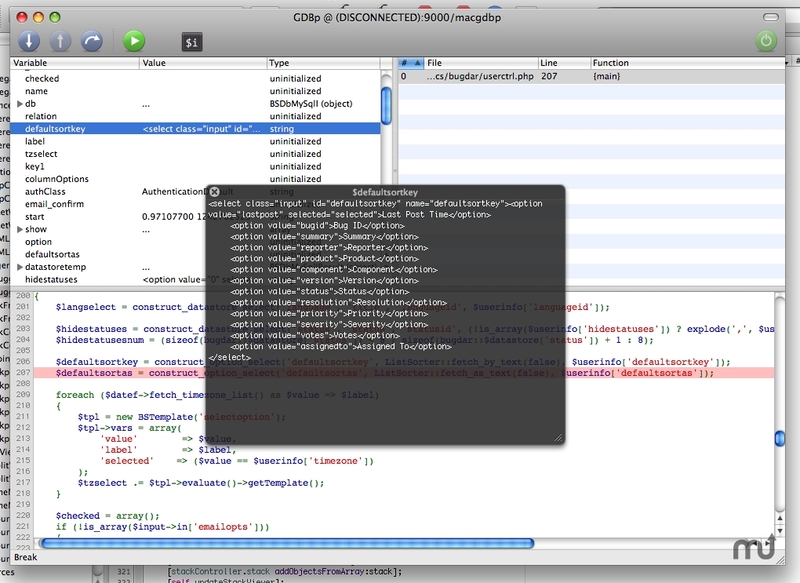 MacGDBp ... Debugging a live, running PHP application has never been so easy! MacGDBp needs a rating. Be the first to rate this app and get the discussion started!